As we age, there increases the chances of mobility issues and our ability to move around can become more difficult, on in some cases can put us at the risk of falling off and getting injured. Beyond the physical constraint related to mobility, there are also social and psychological issues. They are unable to get around as they normally did in the past and this can let them down emotionally. But, mobility issue can no longer stop you from moving around or doing what you love. 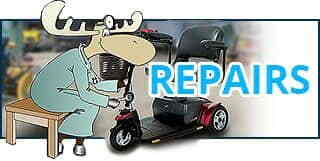 Get portable power wheelchair rental in West Columbia and begin to live a more independent life. When you approach Affordable Medical Equipment, make sure you are a part of thousand others who have already regained their independence and experiencing the things that you have been missing out. The Jazzy Elite HD features 14" drive wheels for enhanced outdoor performance combined with a front-wheel drive design to provide tight turns for optimal indoor maneuverability in small spaces. The heaviest piece weighs only 35 lbs to easily be lifted into the back of a vehicle. Portable power wheelchair rentals are available at Affordable Medical Equipment, one of the leading suppliers of mobility devices in West Columbia. These power wheelchairs are designed exclusively to be used for easy transportation from one location to another. They are manufactured to be as light and convenient as possible while still providing the basic needs for mobility of the user. Their design is such that they can be arranged, disassembled and folded as needed and can be easily loaded into the trunk of a car or back of a van, carried to another location and again reassembled for use. Not every wheelchair you see will be the right one for you. As a factory authorized dealer, we have an extensive selection of power chairs for rental. 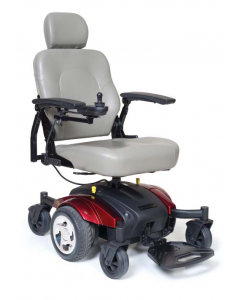 We only carry quality brand name power chairs for best service and guaranteed result. 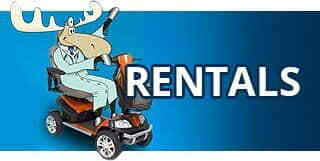 This makes it easier to select the power wheelchairs for rent that truly suits your budget and lifestyle. This power wheelchair offers an elevating seat option that is controlled with a button. It can easily raise and lower the seat as per your need allowing you to sit higher up when necessary and lower down when required. Apart from all these, many other extra features, including a longer lasting battery for increased travel range, are also included. A portable power wheelchair will vary in price depending on the features and strength you select. When you choose to rent one of our power wheelchairs, you can save big on purchase value and the pricing allows you to choose a chair that fits your budget and needs. Extra features that come with the wheelchairs include, large grocery baskets or easy-to-read control panels, are also available with our variety of power wheelchairs. 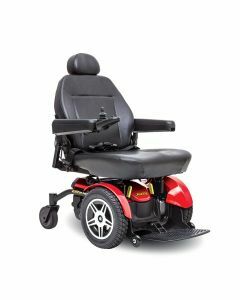 When you need light weight, compact and efficient power wheelchair with a comfortable seat, make sure you choose from our wide selection of power wheelchairs for rental. With a travel range of 15.5 miles, the one you select must be an excellent choice for trips to the supermarket or vacations.